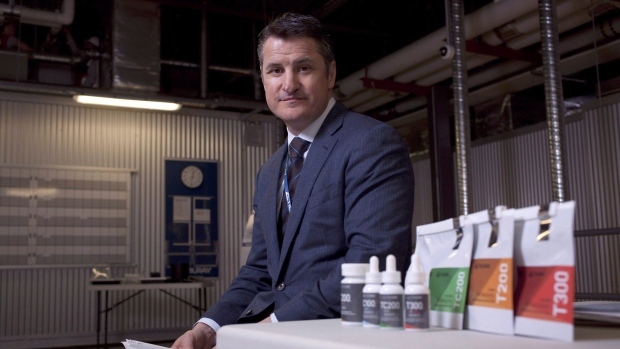 Licensed marijuana producer Tilray Canada has signed a letter of intent to supply medical cannabis to Pharmasave, a co-operative of more than 650 independently owned pharmacies across Canada. The agreement is subject to changes to Canadian regulations that would allow pharmacies to distribute medical cannabis. Other licensed producers and pharmacies have already signed similar agreements. Shoppers Drug Mart has signed supply deals with Tilray, MedReleaf, Aphria and Aurora Cannabis, subject to Health Canada's approval of the pharmacy chain's application to dispense medical marijuana. Other agreements include supply deals between CanniMed Therapeutics and PharmaChoice, and Maricann Group Inc. and Lovell Drugs Limited. The Canadian Pharmacists Association has said that pharmacies should play a leading role in the distribution of medical marijuana, which under current regulation can only be distributed via online orders shipped through the mail.